Colorado Springs home sales prices were up nearly 2% year-over-year in April. The average sales price of a Colorado Springs home in April of this year was $241,004, according to data from the Pikes Peak Association of Realtors. The supply of homes for sale remains low as we head into the heated summer home buying and selling season. While there are more homes available now than there were at this time last year, there are still plenty of buyers eagerly shopping for their perfect home. With current sales rates and inventory levels, the number of homes currently on the market would sell out within 4.18 months. That’s slightly slower than the 4.1 months of inventory available a year ago. What will the real estate market do this summer? No one has a crystal ball. But, last year average home sales prices rolled to a boil in May and simmered in June as more people put their homes on the market and buyers had more choice and more room and time to negotiate. It’s hard to say if the same will happen this summer. As home prices in Colorado Springs have appreciated over the last two years, more homeowners have equity and can afford to sell their homes. As a result, we might see more houses coming on the market this summer. That will give buyers more choices, but might also push sales prices slightly lower. Interest rates have fallen to their lowest levels since November 2013, which should encourage buyers or those thinking about selling and reinvesting this summer. Low interest rates keep homeownership affordable long term. While home sales are brisk in Colorado Springs this summer, a family that’s thinking about moving from a home priced in the low $200,000 range to a home priced in the low $300,000 range could have some major advantages. We have about a 2.88-month supply of homes priced between $200,000 and $249,000. That means they’re selling significantly faster than the 109 average days on the market. Demand drives price increases and that brisk sales pace. If you have a home in that price range, it will likely sell quickly and for a fair price. If you’re thinking about trading up to a house priced between $300,000 and $400,000, our local market has a 7.18-month supply of those homes, which is still histroically healthy for that price range. But it means home at that price point aren’t selling is quickly and you will likely have some room and time to shop and negotiate. 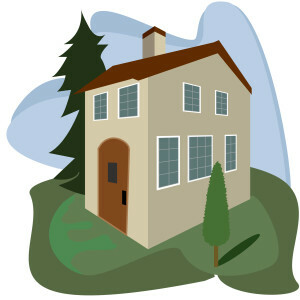 I would love to help you find a home that meets your needs and desires or to creatively market and sell your house. Please contact me for a free comparative market analysis or if you want to look at possible new homes.